Madhya Pradesh (MP) Police Sub Inspector (SI) Exam Paper 2012: Madhya Pradesh (MP) Police Sub Inspector (SI) Exam Question Paper 2012 held across India. Here is MP Police Sub Inspector (SI) Exam Paper 2012 which contains MP General Knowledge (GK), General Science (GS) and aptitude questions asked in MP Police Sub Inspector (SI) Examinations which will help candidates in upcoming MPPSC, MP Police and other state level examinations. 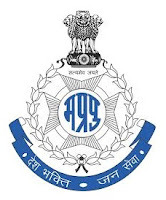 Check Complete Madhya Pradesh (MP) Police Sub Inspector (SI) Exam Paper 2012 in "INDIA GK" Mobile app under Police Exam Papers of INDIA GK Mobile app for candidates. Here is some questions from MP Police Sub Inspector (SI) Exam Paper 2012, full paper is available in INDIA GK Mobile app. Q.1 Rana Kumbha constructed the ‘Kirtistambha’ at Chittor to commemorate his victory against? Q.2 The First War of Panipat was fought in A.D. 1526 between? Q.3 Which Moghul emperor first granted the English the licence to trade and to establish factories in India?